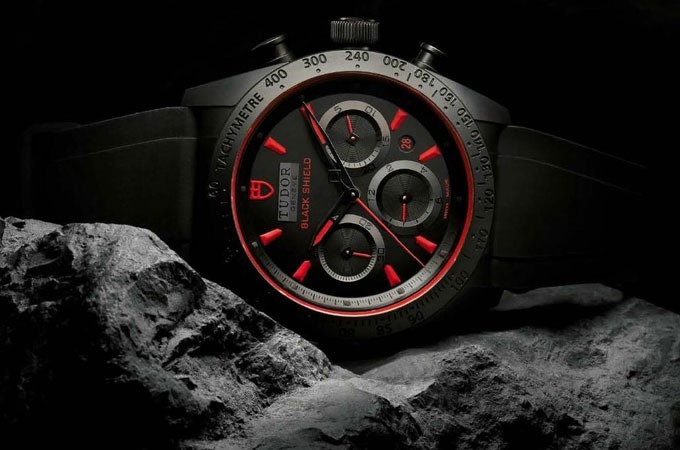 Teaming up with partner Ducati Motorsports, Tudor welcomes you to the dark side with the Fastrider Black Shield Watch. 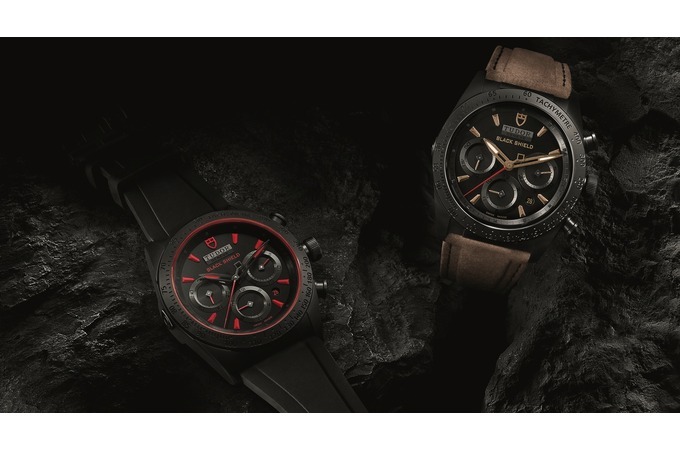 This watch just conjures images of speed. Equipped with the monobloc case in high-tech black matt ceramic, fitted with direct-action pushers and a screwdown crown in PVD-treated steel, the 42 mm case houses the self-winding TUDOR calibre 7753 chronograph movement with a power reserve of approximately 46 hours. The red bold red numbers and hands create the impressions of a watch that demands action. 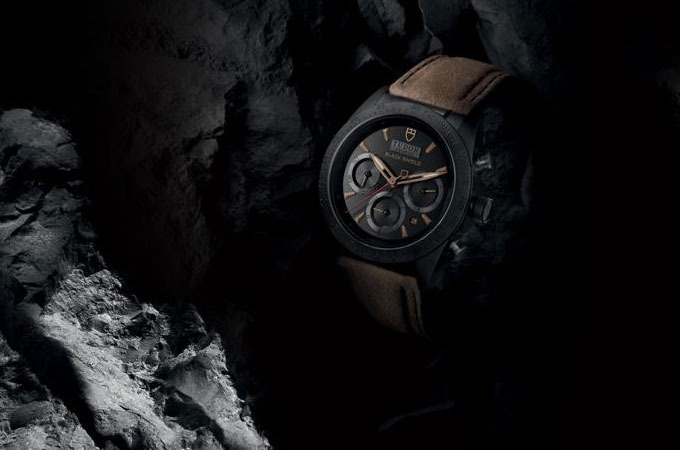 The watch is tough enough to take major g-forces, shocks, or to dive 500 feet into the ocean.